With the launch approaching of next generation FinFET GPUs, more and more tidbits regarding the upcoming launches are being leaked over the web. AMD is close to launching their FinFET based Polaris GPUs which are highly anticipated by Radeon users and it seems like we will getting some early taste of the modern GPUs very soon. 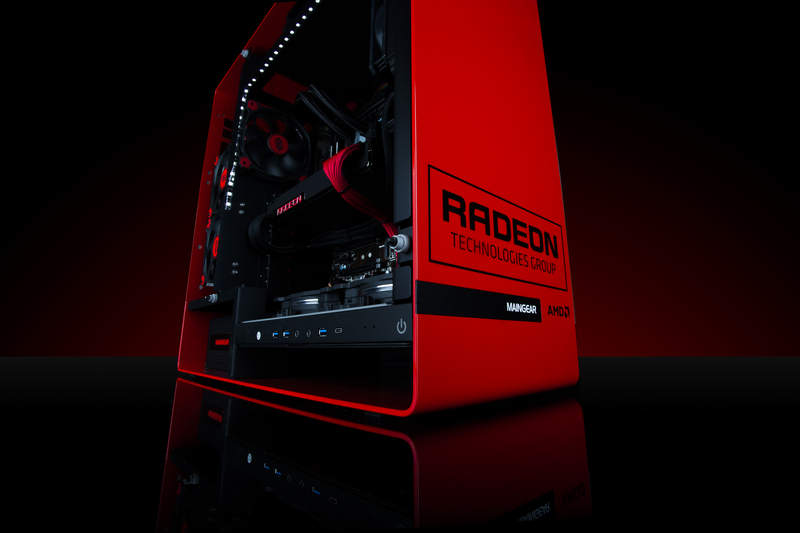 OEM Maingear’s PC featuring fast AMD Radeon graphics cards! Since AMD is going to introduce their new products, they already have two under production and ready to unveil to consumers. Benchlife reveals that the Polaris 10 GPU which is codenamed “Ellesmere” is going to be featured on the Radeon R9 480 series graphics boards. These graphics boards will feature TDP around 100W (110-150W) and as demonstrated at Capsaicin, will have no trouble running latest DirectX 12 titles at 1440P with stable 60 FPS. The other GPU, Polaris 11 which is codenamed Baffin will be an even less power hungry chip replacing the Radeon R7 370 series. This graphics board will have a TDP of under 50W and is already revealed to be very efficient compared to 28nm counterparts. It’s obvious to point that AMD is strictly eyeing huge efficiency improvements with their Polaris GPUs which will lead them to deliver great solutions across the PC market (Desktops and Notebooks). 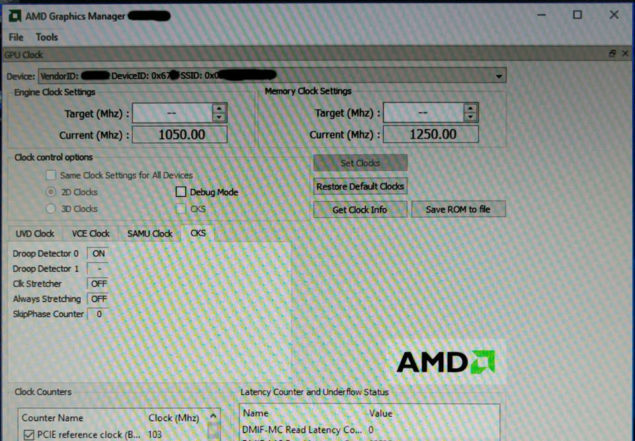 Alleged AMD Polaris 10 GPU bearing the device id “67DF:C4” Leaked Over at VR-World. Just recently, VR-World leaked new details for the Polaris 10 GPU. From the looks of it, Polaris 10 samples are already in the wild and clocking in at speeds of 800 MHz and up to 1050 MHz. The GPU silicon features 2560 stream processors in total but the specific model id’d as “67DF:C4” has 2304 stream processors enabled. The graphics card ships with GDDR5 memory (GDDR5X if its available in volume) and will feature 8 GB of VRAM of the specific memory standard while featuring a 256-bit wide memory interface. The GPU is based on the new 14nm FinFET architecture. 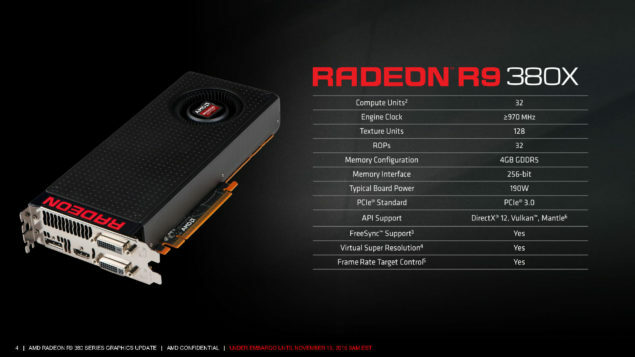 The 190W Radeon R9 380 series rumored to be replaced by near 150W Radeon R9 480 series with better performance! If these GPUs are meant to replace the Radeon R9 380 series and the Radeon R9/R7 370 series, then I think the specifications make sense. The Radeon R9 380 series shipping with Tonga have a TDP of 190W. AMD can cut the TDP by 70-80W and offer performance equivalent to their current Radeon R9 390 series parts which will will be really nice. Same goes for pricing, the Radeon R9 380 series are available in a sub-$300 price range which I think will be the market AMD is aiming for. Same goes for the 470 series which are replacing the 110W Radeon R7 370 and based on the really old Pitcairn architecture. AMD could also replace it entirely with a sub-50W part that blows it away in terms of performance at sub-$200 prices. The last interesting topic we are covering today is also about the Polaris 11 GPU. The website LaptopMedia has already got hands on a laptop which features an early Polaris 11 GPU sample. From the looks of it, the Polaris 11 based notebook they received is not high-end but a low to mid-range model based on its specifications and comes with the brand new GCN 4.0 GPU we know as Polaris 11 that was already demonstrated on desktops. 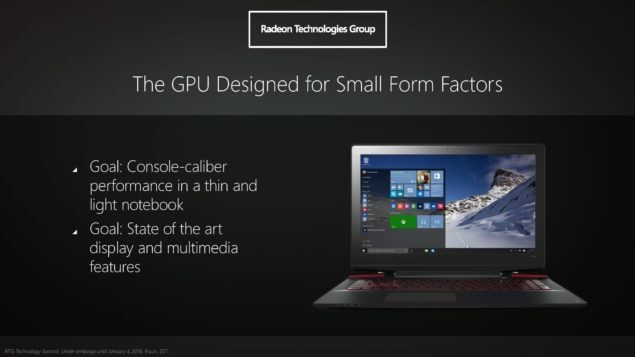 AMD Polaris GPUs Will Power Small Form Factor Notebooks and Desktop PCs. The website reports that they will be testing and publishing a full review on the notebook in the coming days or week. 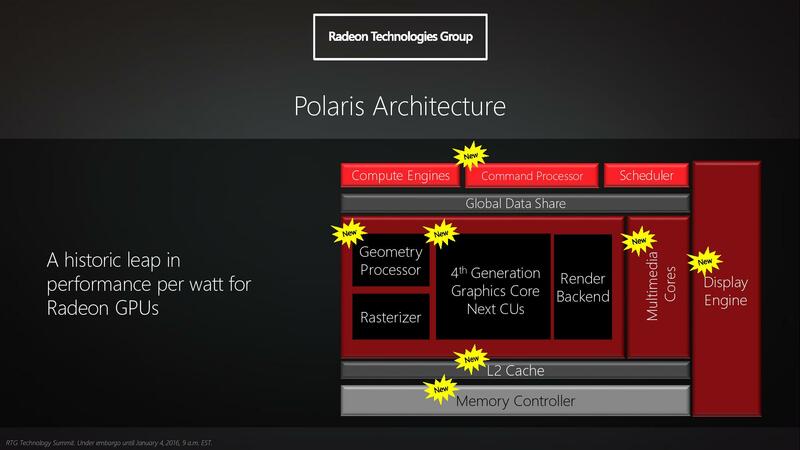 It’s really interesting how things have developed around the Polaris graphics architecture. 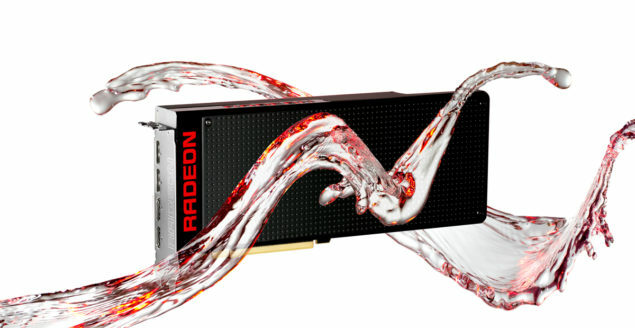 AMD seems to be approaching the consumer market with highly efficient yet not too pricey graphics cards. It seems like AMD’s Radeon R9 Fury lineup will still exist in the market as the performance oriented lineup until AMD launches their Vega GPU with HBM2 next year. The Radeon R9 480 series and R9 470 series will be AMD’s most competitive solutions in the sweet spot range. They will be built with performance to dollar value in mind and AMD is making sure that they deliver fast FPS at very reasonable prices for consumers. Aside from the Polaris 10 core, AMD also has Polaris 11 which is a smaller and far more efficient GPU developed on the Polaris architecture which will deliver the best performance to wattage ratio on the entry to mid range discrete and fast notebook designs. AMD Polaris GPUs feature the latest GCN 4.0 Architecture with various ASIC level design changes!